Survey no. 4, Junnasandra road, Sarjapur main road, Near Wipro Bangalore - 560035, Karnataka, India. 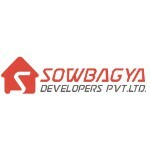 Sowbagya developers was established by the people who has vast experience in the field of infrastructure since1984. We have vast experience in the field of high structures, sanitation ,electrification , roads and other allied works . We have impeccable reputation for quality , integrity and schedule delivery.